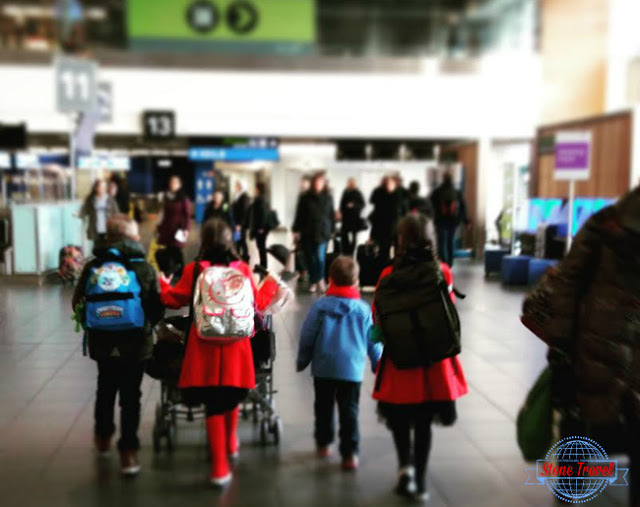 As a Mam to five little ones and a travel blogger one of the questions I’m frequently asked is ‘How do I get my baby’s first passport?’ The aim of this post is to answer all of your questions and give you some valuable tips that I’ve learned along the way. Hopefully making it easier for you to apply and be issued with your child’s passport without undue stress or delay. Where do I get an Irish passport application form? 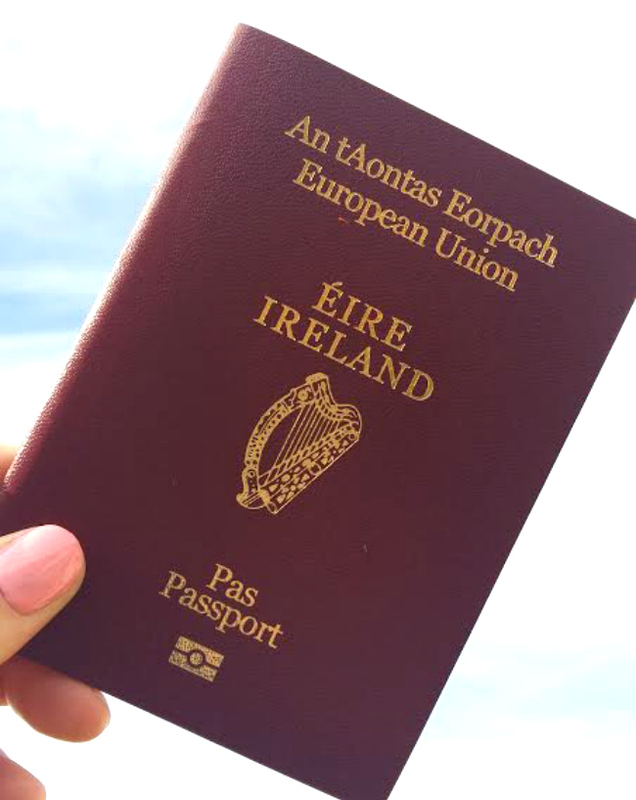 If you are a citizen living in Ireland you can pick up an APS1E Irish passport application from your local Garda Station, Post Office or from the Passport Office in either Dublin or Cork. 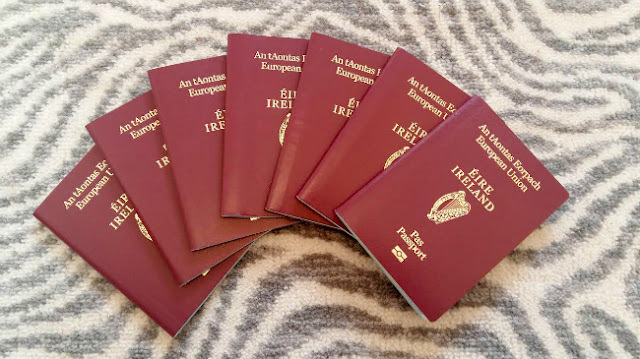 If you are living outside of Ireland you’ll need an APS2E Irish passport application, in Northern Ireland you can get these in your local Post Office. For those living anywhere else in the world contact the Irish Embassy or Consulate in your Country. Can I download an application for an Irish Passport online? Unfortunately not at the moment, however if you can’t get to any of the places listed above or you want a number of applications, contact the Irish Passport Office by phone, e-mail or through their website and they’ll post some to you. What type of passport can I get for my child? 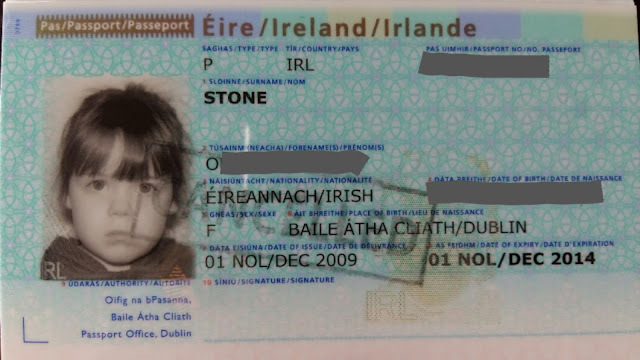 The type of passport you apply for depends on your child’s age. If your child is under 3 years old you can only apply for a 3 year passport. 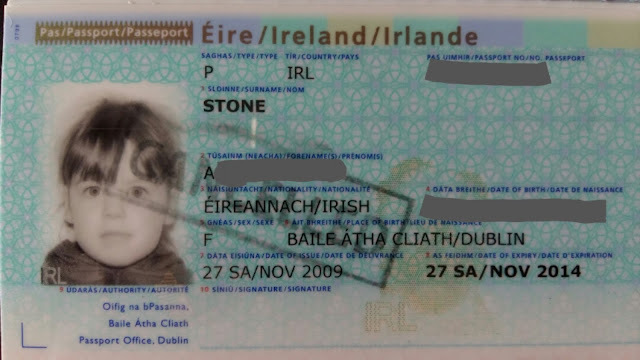 If your child is over 3 but under 18 years old you can apply for a 5 year passport. 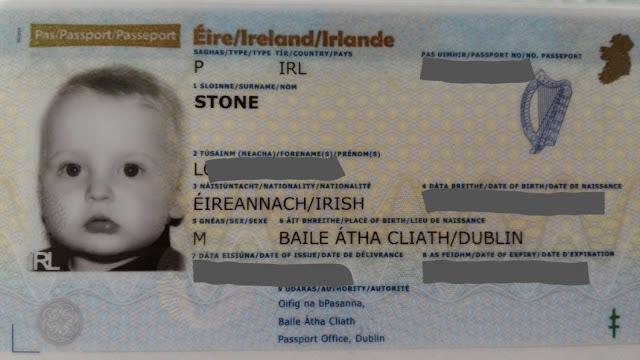 Where do I get passport photographs for my child? I’ve found the best place to get your child’s photograph taken is in your local chemist. Some people opt to take their own at home but with so many rules and regulations governing passport photographs I always go with the easy option! What are the rules for Irish passport photographs? Four identical photographs taken within the last 6 months must be submitted. Two of which must be signed and stamped on the back by the witness you use to sign the application form, more details below with the information on signatures being witnessed. They must be 45-50mm in height and 35-38mm in width. They should show a close up of your head and top of your shoulders so that your face takes up between 70-80% of the frame. There is a handy clear plastic guide included with the passport application so you can check your photograph yourself. Photographs should be taken with a white/cream background but if you are very pale and /or have light coloured hair you are allowed use a darker background as there should be a marked contrast between you and the background. Stone Travel Tip: For young babies I usually bring a dark block colour t-shirt age 2/3 years and put it over their clothes as I never had dark coloured clothes for any of my babies. There should be no glare or shadows on the image or in the background. No hair covering (unless religious) or hair bands are allowed. No uniforms or insignias on clothes. There should be a good colour balance with no red eye or unnatural skin tone, that’s easier said than done when you’ve a teething baby! Eyes should be open and looking towards the camera with mouth closed, I’ve found that they aren’t as strict with this rule with young baby’s photos. They recommend submitting black and white photographs but they’ll also accept colour photos. Reverse of the photographs must be white and unglazed. Stone Travel Tip: For young babies who can’t yet hold themselves up bring a white blanket to lay them on it on the floor of the chemist and have a noisy toy to dangle near the lens of the camera to grab their attention. 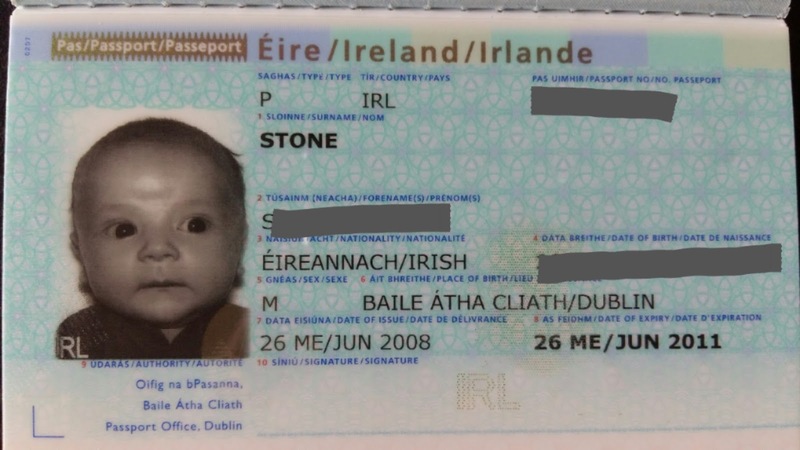 Which documents do I need to include with the application for my baby’s passport? Declaration Form A: Completed by the parent, giving details of their period of residency in Ireland, this must be witnessed. Do both parents/guardians have to sign the application form? If parents are married and named on the child’s birth certificate, they must both give consent on section 7 of the application form even if they are separated or divorced. If parents are unmarried and both are named on the child’s birth certificate, the consent of both parents should be given. However under the Guardianship of Infants Act 1964 the mother is sole guardian even though the father is named on the birth cert, unless the father has been granted guardianship by the courts. The mother can apply for the child’s passport without the consent of the father by including a sworn affidavit (AFF1, available online form he passport office) stating that she is the sole guardian of the child. If the parents are unmarried and only the mother is named on the birth certificate, the mother is the sole guardian of the child unless there is a court order naming another guardian. The mother can make a sole application as above including a sworn affidavit. What happens if the other parent won’t give consent? If parents are married and one parent is unwilling or unavailable to give consent the parent completing the application form must apply to the local District Court, under the Guardianship of Infants Act 1964 (section 11), requesting a Court Order dispensing with the consent of the unwilling/unavailable parent. What do I do if my child’s other parent is deceased? If one parent is deceased the parent completing the passport application must also complete an affidavit, (form AFF1) which is available online from the Passport Office. The surviving parent must swear that they are the sole legal guardian of the child. This affidavit must be witnessed by a Solicitor or Commissioner of Oaths and submitted with an original death certificate for the deceased parent. Do I need to have my signature witnessed? Garda Síochána/Police Officer, Member of the Clergy, Lawyer, Bank Manager/Assistant Bank Manager, Elected Public Representative, Medical Doctor, Notary Public Commissioner for Oaths, Peace Commissioner, School Principal/Vice Principal or Accountant. Both parents/guardians don’t have to sign the form at the same time. You can get a different witness for each signature if you wish. However the child must be in the company of the parent/guardian as they are signing section 7 in front of a witness, this goes for both parents/guardians. 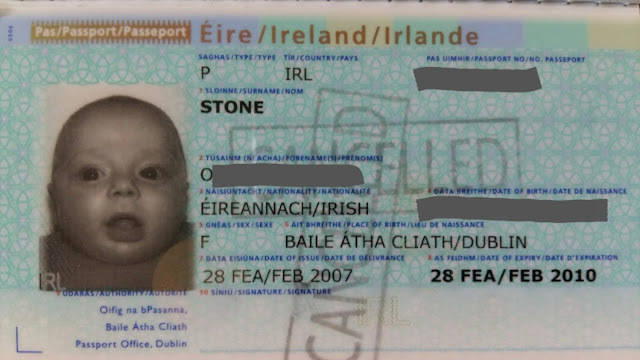 You must bring photographic ID with you to show the witness and your child’s long-form birth certificate. Stone Travel Tip: We’ve found the easiest thing to do is schedule a time when you’re both home, perhaps after dinner and head into your local Garda Station as a member of the Garda Síochána must witness section 8 the declaration by applicant and complete section 9. Bring the following: Completed application form, photo ID for both parents/guardians, your child’s long-form birth cert, your marriage cert if applicable, four passport photographs of your child. In the case of my child’s passport, who signs the Declaration by Applicant section? 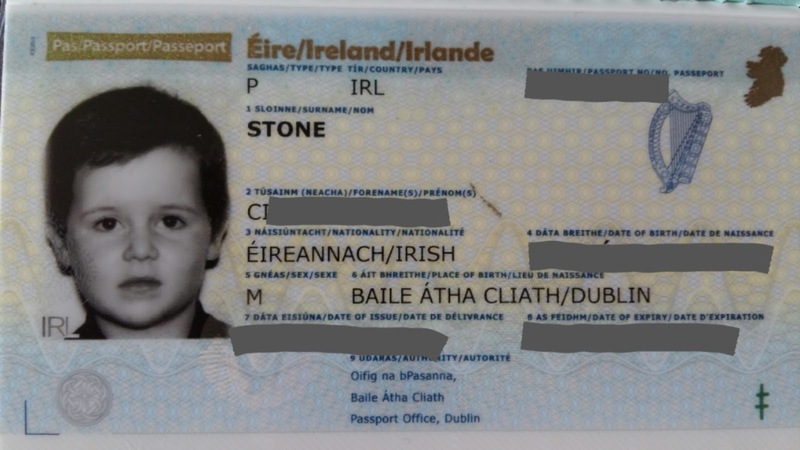 Even though it doesn’t state it on the application form, children aged 7 years old and over must sign their own passport application and this must be witnessed by a member of the Garda Síochána, for children under 7 a parent/guardian can sign. How much does a child’s passport cost? I have everything completed, where do I send my passport application? This is where the Passport Office are very misleading as they recommend using Passport Express stating that it’s the easiest, quickest and cheapest way to get a passport. However they don’t tell you that you MUST use Passport Express when sending your application, if you decide to post it in regular mail in an ordinary envelope it’ll land on someone’s desk who’ll promptly return it to you advising you use Passport Express as that’s the only way they’ll accept postal applications. Is there a cost for Passport Express? To apply via Passport Express you must bring all of your documentation, signed and witnessed photographs and your completed form to your local Post Office where they’ll go through your application for you and ensure everything is in order. One passport application via Passport Express is €9.50, €16 for a second application. Up to four applications can be sent in the same envelope for a flat fee of €16. You also pay the relevant passport fee at the desk in the Post Office. You’ll be given a receipt with a tracking number so you can track your passports progression online. How long does Passport Express take? 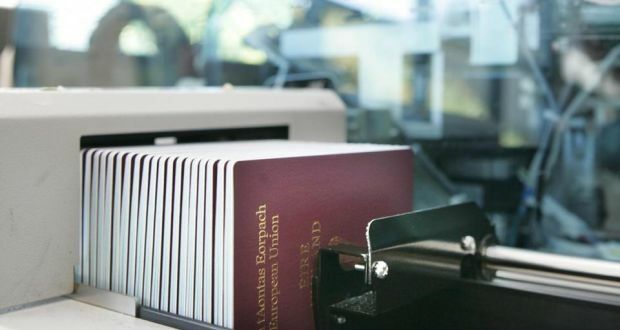 The passport Office state that the turnaround time for Passport Express is 10 - 15 working days however this can take longer due to increased applications during peak season. They recommend applying for a first time passport at least 6 weeks before your intended date of travel as there is additional security checks associated with first time applications. Can I get my child’s passport sooner? If you are intending to travel within 3 weeks of your application they advise making an appointment online to visit the Passport Office in either Dublin or Cork to make your application in person. There are a limited number of appointments each day and proof of travel is required. There is an increased fee for making an application at the public counter in the Passport Office. 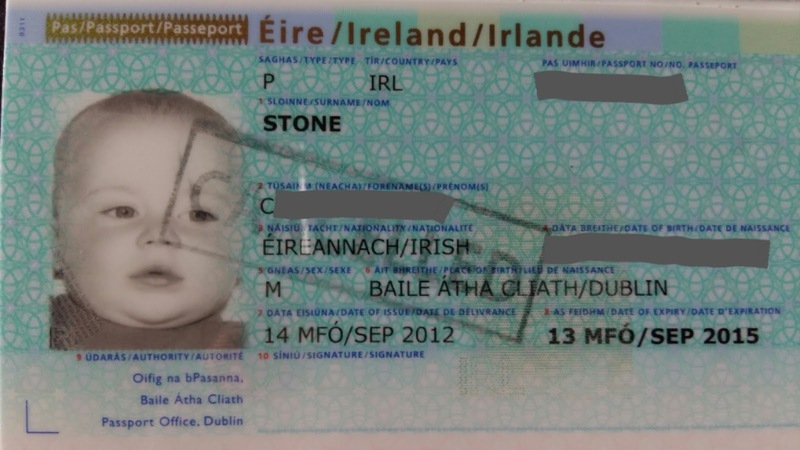 There you have it, the complete & comprehensive low down on Irish Passports for children and babies. Have I left something out? Or do you have any tips? Please let me know!